Spring Outdoors in The Last Green Valley with free guided adventures all over the National Heritage Corridor during the upcoming week! Get outside with “Tackle the Trail for Beginners” on Saturday, May 13th in Pomfret starting at 8 am. Truly a beginner’s event focusing on the benefits of hitting the trail, all are welcome. Beginning is the best way to start anything! Pre-register and questions to marcy@tlgv.org. The Last Green Valley’s (TLGV) Rangers “Buffumville South Trail Loop” calls you to Charlton on Saturday, May 13th at 10 am. Stay at this location for an “Invasive Species Workshop-GET THEE GONE” at 1 pm to learn about common invasive species and management tactics. Three bird walks focus on what you can see and hear during this time of migration. The Connecticut Audubon Society Center at Pomfret offers both the “Long Pond Bird Walk” on Saturday, May 13th and “Bull Hill Bird Walk” on Thursday, May 18th. Both CAS walks are in Thompson and start at 8 am. These properties are newly acquired Wyndham Land Trust preserves; no dogs for these 2 walks, please. “Birding with Mom” steps off on Sunday, May 14th at 7 am at Schoolhouse Brook Park in Mansfield. Pre-register to kaufmanjs@mansfieldct.org or call 860-429-3015. Bringing your mom is encouraged, but not required. Bring binoculars to all these birding delights. Take a stroll with mom on the newest section of rail trail in Willimantic at “Mother’s Day at the Railroad Museum” on Sunday, May 14th at 10 am. Stroll right into the museum and take a tour (entry fees apply). “Mansfield PUP Crawl” is always a wagging success during Walktober, and now you can stroll with your four-legged friend on Saturday, May 13th at 9:30 am in Downtown Storrs (free parking in the Storrs Center Parking Garage for the first two hours.) Walkers without dogs are welcome to participate. Palmer Arboretum is blooming with beauty and “Trees on Woodstock Hill” shows off some special trees and restoration work on Saturday, May 13th at 10 am. Fairies are enjoying Spring Outdoors, and you can “Make a Fairy House” on Saturday, May 13th from 10 am – 3 pm in Joshua’s Trust Bradley-Buchanan Woods, located behind the Mansfield Library. Bring natural materials to make the fairies a comfy home. Jump in with Paddle Killingly on their “Willimantic River from Mansfield River Park to Eagleville Dam” paddle on Tuesday, May 16th, pushing off at 5:30 pm. Bring your kayak, PFD (life jacket) and a whistle. Pre-register and details on the www.meet-up.com/PaddleKillingly site. Everyone loves firefighters, so “Visit the Huguenot Steamer No. 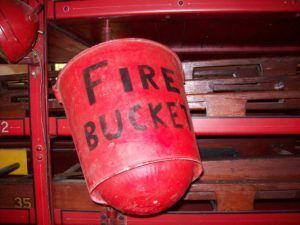 1 Fire Station Museum” on Saturday, May 13th for a tour to please all ages in North Oxford, MA. While unassuming on the outside, this museum is amazing inside. Living history is a major theme this week. A “Militia Encampment of the New England Volunteers” at the Ashbel Woodward House in Franklin has action all weekend long, May 13-14th, focusing on Civil War days. “Artillery School – Return to the 1700’s” takes aim all weekend at the Huntington Homestead Museum in Scotland, and on Saturday they serve up “Dinner in the Home of the Revolutionary War Activist’s” from 10 am – 3 pm. $6.00 each, $12 per family, $4 students & seniors. On Saturday, May 13th at 10:30 am, Norwich Historical Society’s wildly popular “Norwich’s Millionaires’ Triangle travels back to the late 19th century to “meet” the families who lived in the Broadway and Washington Street mansions. Leffingwell keeps history alive with a special tour “Featuring Colonial Women of Norwich” from 11 am – 4 pm, $5 entry fee. Willimantic’s “3rd Thursday Street Fest” hops down Main Street for the first festival of the season on May 18th from 6 – 9 pm. Tastes, sips, music, entertainment and vendors galore welcome you. TLGV Rangers Geoff & Kim host “Light Pollution 101” in TLGV’s office in Danielson Friday, May 19th at 7 pm. This talk is appropriate for ages 5 and up, and great for groups such as scouts. Pre-register to register@mcleanresearch.com. To get all the Spring Outdoor choices, visit www.thelastgreenvalley.org or TLGV’s Facebook page. New adventures are being added all the time, so be sure to check in often!